The Wine Garden | The Ultimate Girl's Day Out! The Wine Garden is located in the C Concourse on the lower level between the two entrance doors. It’s one of the highlights of the Show and provides a lot of fun. Sample wines at the Wineries provided. Enjoy St. James Winery ~ Stone Hill Winery ~ Serenity Valley Wines ~ Small Batch Winery ~ Westphalia Vineyards ~ Scout and Cellar - Clean-Crafted Wine ~ PRP Wines ~ Vine OH! and The Katy Shuttle. 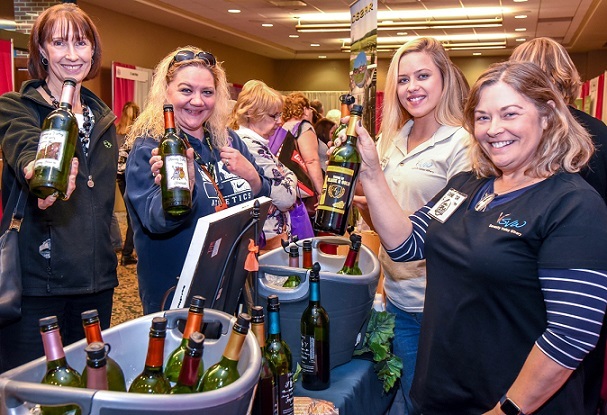 Check back weekly for additional wine garden exhibitors. 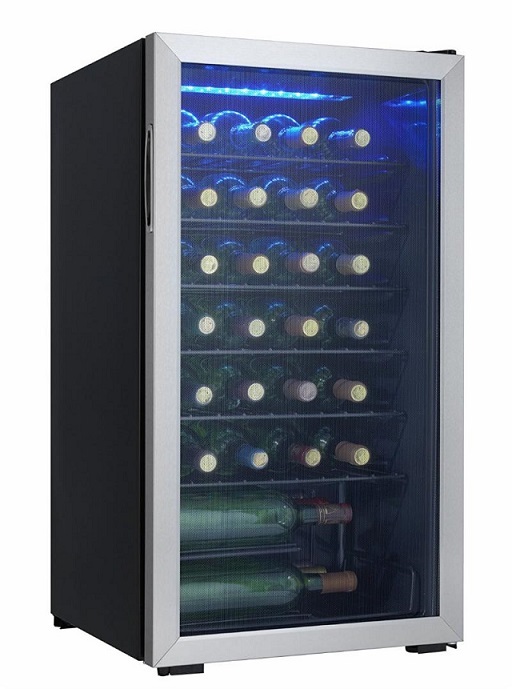 The Working Women's Show is raffling off a Wine Refrigerator! And as an added bonus - It's Stocked With Wine! Entry drums will be located in the Wine Garden. Stop by, sample some fantastic wine, and enter for a chance to win. 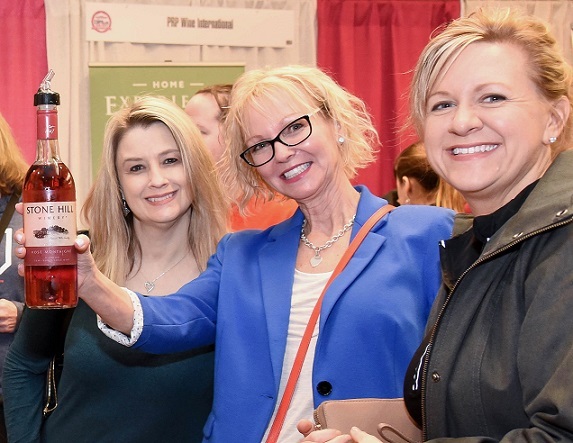 Love the St. Louis Working Women’s Show Wine Garden? Take part in our first ever Wine Passport Promotion! 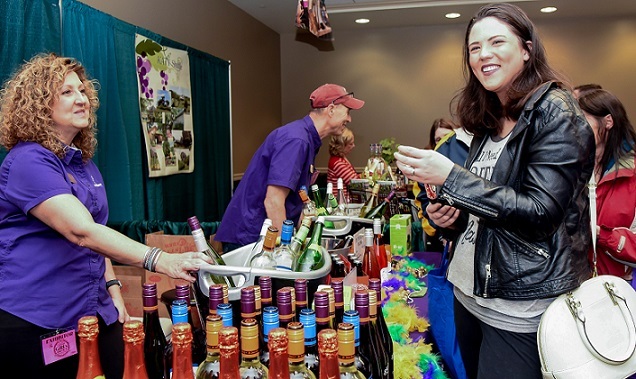 Now, you can sample some of the wonderful wines offered at the Show ahead of time. Simply visit each of the wineries listed in the Wine Passport. Enjoy a tasting and receive a stamp in your Passport. Bring your completed Passport to our Show Office during the weekend of the Show and receive a special, commemorative wine glass. It’s that simple! Remember, wine makes great holiday and hostess gifts! 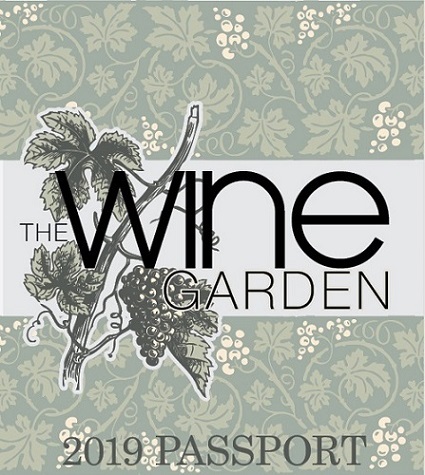 ** Passports are available at participating wineries or by calling Judy at (800) 762-9973.